On the pursuit of justice in a world of limited resources: An econ alum discusses his path from econ through the Ninth Circuit. In the Alumni spotlight, we showcase our Cal Berkeley Alumni from near and far. We are thrilled to feature Ron Park ’08. When Ron Park graduated from Berkeley Economics in 2008, the market had just crashed and jobs were scarce. In hindsight, he says, this challenge enabled him to choose a path he otherwise may not have taken. 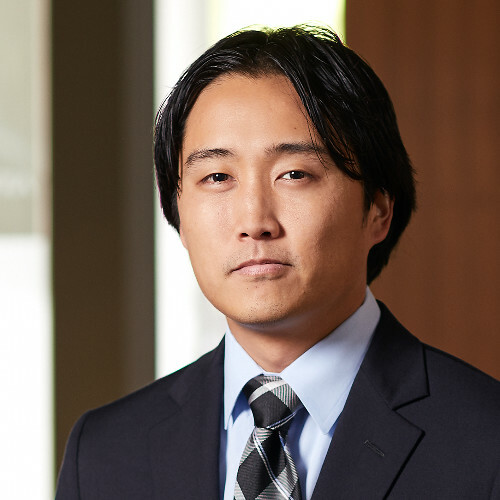 After volunteering in the Peace Corps in Nicaragua for two years, Park returned to the Bay Area to earn his J.D from the Irvine School of Law, after which he served as a clerk on the 9th Circuit, one of the most prestigious circuits in the country. In our Q&A, he shares the path he has taken since Econ, which has also allowed him to work on seeking justice for under-represented populations. After graduating from Berkeley Economics, you volunteered for the Peace Corps in Nicaragua. Tell me what shaped this decision (and if UC Berkeley and Econ, in particular, played a part in it). I was looking for work right after the Great Recession so the job market was terrible. A friend mentioned off-hand that he was thinking about joining the Peace Corps, which I knew very little about. When I hopped on their website, I was inspired by the stories of former volunteers and the relationships they built with people and communities around the world that they probably would never have met otherwise. I sent in my application within the week. My education at Econ definitely contributed to this decision. One class that left its mark on me in particular focused on case studies in developmental economics. The professor who taught it had done field work in a number of African countries to study the impact of ventures such as small cash infusions to women-owned small businesses in rural communities. It really keyed me in on how economics could be applied to try and lift the living standards of people and communities in underdeveloped or developing parts of the world. The second was simply being an Econ student right as the financial crisis was unfolding. I remember the day Lehman Brothers collapsed. The morning after, I was in Professor Brad DeLong’s Econ 101B macroeconomics class, and we opened the class with a discussion of the collapse and its probable aftermath. As the crisis continued to unfold, it remained a talking point throughout the semester. I don’t think anybody truly appreciated how bad it would get at the time, but it did make economics very salient in trying to understand and diagnose what was happening. I found myself reading a lot of articles and blog posts written by economists. It made me really appreciate how important it is to get economics right because the consequences of getting it wrong fall on everybody, not just rich financiers who lose money here and there or government officials who stress about a fall in abstract metrics like GDP. Everyday people are affected in myriad, concrete ways—losing jobs, losing homes, losing businesses, etc. Again, I thought that in some way, my economics education would have something useful to offer for ordinary people through the Peace Corps. Did your time in the Peace Corps match up with your expectations? When I applied to the Peace Corps, I envisioned myself working in microfinance or working directly with small business owners to improve their businesses in small ways. However, that isn’t quite how it turned out. Although I did get to work with small business owners, the Peace Corps in Nicaragua had moved away from microfinance by the time I got there—but the initial push that got me thinking there was something useful I could do in the Peace Corps was definitely what I learned at Econ. After you returned from Nicaragua, you decided to go to law school, graduating from the UC Irvine School of Law in 2016. Was this a departure from what you thought you'd be doing upon your return or was Law something you’ve been passionate about? Law was definitely not something I had been passionate about. I did not grow up knowing any lawyers. In my mind at the time, all lawyers did was work for rich people or big businesses to help them move money around, and I had no interest in doing that. At the same time, I can’t say going to law school was a complete departure from what I thought I’d be doing upon my return. I had just worked for a litigation consulting firm and had taken the LSAT before leaving. I hadn’t had much success finding a job, and I figured if the Peace Corps thing didn’t work out, I’d just go to law school. This all changed when I met a fellow volunteer at the Peace Corps who had been a community organizer in Denver before coming to volunteer in Nicaragua. I got to hear a lot about his work effecting change in that capacity. One story in particular that stuck with me was a campaign to enact a law capping interest rates on payday loans. Payday loans are often seen as a predatory blight in low-income communities, but the reality can often be more nuanced. Where traditional banking options are unavailable, payday loans might be the only viable source of credit and finance in a community. Banning such loans completely might leave a community without a necessary source of finance. The solution instead, was to cap the interest rates. Lawyers played a role in getting the law passed, and the story sparked a discussion about lawyers and what they can do to make the world a better place. When I learned that lawyers, through their knowledge of the law and the legal system, could play vital roles in advocating on behalf of underserved communities and individuals, it made me reconsider my initial reluctance to go to law school. Ultimately, I decided to get a law degree with the hope that I could use the law to help serve underserved communities back home. As a law student under attorney supervision, you represented a Chinese national before the Ninth Circuit in an asylum case involving religious persecution. It seems that providing legal counsel to the under-represented is something that’s close to your hCan you tell me more about that case and how you connect to this issue? As a law student I had the privilege of working on behalf of an actual client, a Chinese national seeking asylum in the United States, through the University of California Irvine’s Law Appellate Litigation Clinic. Our client was a member of a Christian church that is persecuted in China, and he wanted an opportunity to at least present his case and have it considered by an immigration judge as a basis for asylum. Our role in the case was limited to simply helping our client get a chance to present his case to an immigration judge. But when our client had first asked for this opportunity, the Board of Immigration Appeals had refused on the grounds that, in a previous hearing, the immigration judge had not believed our client’s story on the corruption and political persecution he had witnessed in China. The “logic,” as it were, was that since the immigration judge hadn’t believed our client on one thing, she would not believe him on anything else, so there was no reason to even let him present any evidence for his religious persecution claim. That plainly didn’t make sense—a judge might believe a person on one thing but not another—and we were able to get that ruling overturned by the Ninth Circuit. For me, this case certainly highlighted the ways in which our current immigration system is broken. By the time our client came to us, he had been seeking asylum through the immigration system for about a decade. He had appeared in several hearings already. Some of them were quick appearances, others took longer. Sometimes the hearing might be postponed or continued for one reason or another. Other hearings resulted in substantial rulings, but those would then lead to appeals or requests for reconsideration. Even our win before the Ninth Circuit only got our client the opportunity to present his religious persecution claim before an immigration judge. Ultimate relief for that client and others like him, if any, is somewhere in the future. The whole thing is Kafkaesque. People get caught up in the system and then they just stay there in limbo. This obviously matters on a broad societal level in terms of squandered human lives and financial costs, but it also matters on a personal level. I have friends and family who have been caught up in this system or live in fear of it. The uncertainty affects ordinary lives on a day-to-day basis. In your article, When Racism Affects Legal Representation, you argue that diversity among law officials eventually will lead to a more just judicial system. You mention the 2018 case, Mayfield v. Woodford, in which Demetrie Ladon Mayfield, an African-American man convicted of two counts of first-degree murder and sentenced to death, claimed his attorney provided ineffective assistance of counsel due to conflicts of interest arising out of his racist beliefs. Do you believe that progress is being made on this front? How do you see the future on more just and diverse representation? As much as people (rightfully) point out the many ways in which the legal profession continues to fall short of reflecting the American population at large, I believe we have come a long way, and the legal profession as a whole has grown more diverse over the last decades, whether you measure diversity by gender, race/ethnicity, sexual orientation, or other categories. And as the legal profession has grown more diverse, I believe legal practitioners of all backgrounds have grown wiser and more aware of the biases and blind spots that existed in the profession previously. I also believe that the legal profession (and other fields in which full representation is lacking) will be more just and more diverse in the future. The fact that we’re having this discussion at all shows that people believe that this is a real issue and that it needs to be fixed. It won’t be fixed overnight. Change will come only with continual, concerted effort, and it will be opposed at every turn. But I think every day you can see that people are making that effort, and it’s hard for me to think that with so many people working so hard that we won’t end up in a better place. How did Berkeley Economics help prepare you for what you do now? Economics to me has always been a social science that seeks to understand both how human beings make decisions in a world of limited resources—whether that’s money, time, or something abstract like mental bandwidth—and how those decisions can affect their community as a whole. More than anything, Berkeley Economics instilled in me a way of analyzing and making sense of the world around me that continues to drive my thinking today. For example, when you can’t have everything, how do you choose what to have and what to let go? How will your choice affect your neighbors? Do they get the same choice? Will they make the same choice you do? Why or why not? What’s the effect of all these myriad choices on you and your community now and in the future? Even as a lawyer, I find myself asking these questions again and again. The pursuit of justice, like any human endeavor, takes place in a world of limited resources. That can be a very sobering thing. I believe my economics education, on some level, has given me a foundation to think through these issues and tackle the challenges in a systematic and (hopefully) effective way. What particular advice do you have for students today in finding their professional path? Take chances and confront whatever fears you may have early on. While I was excited and inspired to join the Peace Corps, it also terrified me. When I got my acceptance packet, it told me I would be going to Nicaragua to teach high school students how to start and run small businesses. It was absolutely not what I was expecting. As I alluded to earlier, I imagined I’d be doing microfinance or working with small business owners one on one. I hated public speaking, and I still felt too close to teenagers in age to imagine I could be any sort of role model or authority figure to them. I seriously considered just letting the opportunity go and going to law school instead. Even though I didn’t want to go to law school either, school was something I was familiar with and good at. Obviously, I ended up choosing the Peace Corps, and it made all the difference for me. I found out that public speaking wasn’t so bad after all, and I also learned that working one on one with small business owners decades older than you can be just as difficult and discouraging as teaching teenagers in high school classrooms. By pushing myself to do and try things outside my comfort zone, I learned a lot about who I am as a person and it instilled in me the belief that no matter what I’d be okay. Because even when I made mistakes or failed at something, I found out that I would still wake up the next morning a little bit wiser and still be able to try again. Ron graduated from UC Berkeley with a BA in Economics in 2008. Soon after graduating, Ron joined the Peace Corps and traveled to Nicaragua to teach small business skills to high school students and advise small business owners in a small, rural community in the northern part of the country. Upon returning to the U.S., Ron attended and graduated from the UC Irvine School of Law. As a law student, he successfully represented a Chinese national seeking asylum before the U.S. Court of Appeals for the Ninth Circuit. After law school, he served as a judicial law clerk, first at the U.S. District Court for the Central District of California, and then at the Ninth Circuit. He now practices law in Washington state.